I recently went to a Maria Synder book signing, which I’m sure you have all seen my blog post on now. If you missed it it can be found here. Anyway I learn that I have been pronouncing some of the words in her books wrong. Ixia I pronounced as I-X-A but it is actually pronounced I-X-E-A. 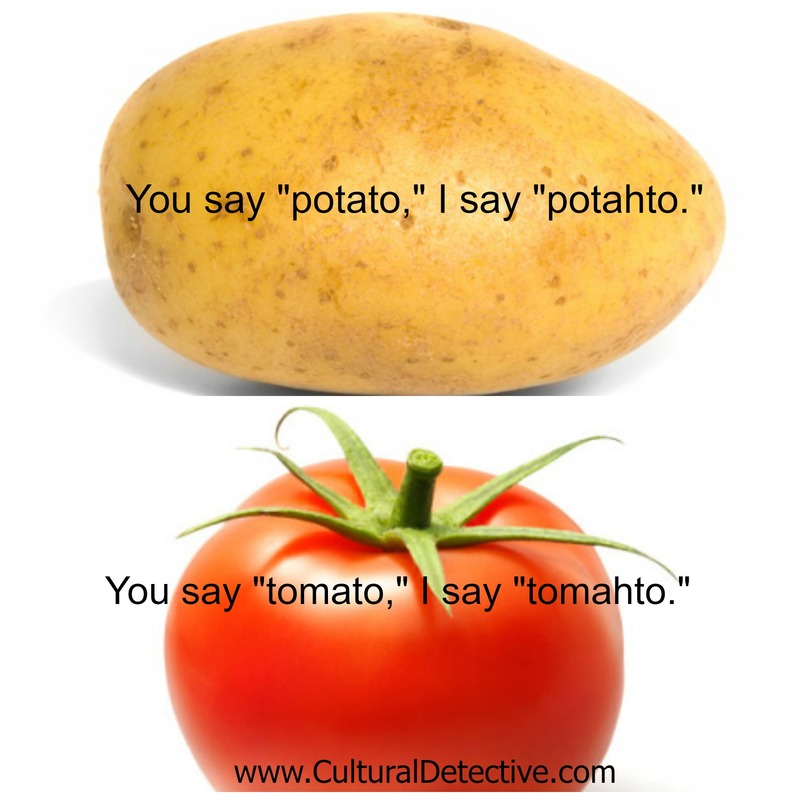 Even though I know this I cannot think or say the word correct way because it feels too weird and sounds odd. Am I the only one even when they realise that the pronunciation is wrong still keeps saying it the way you thought it was originally because the correct way sounds weird if you say it out loud or in your head. If so what do you say ‘wrong’? You would think I would learn from my mistakes. One of my rules about books is if there is highly anticipated book that I am waiting for I will not go on Social Media or on certain parts of the internet incase of spoilers because other people are just as excited about it as I am. 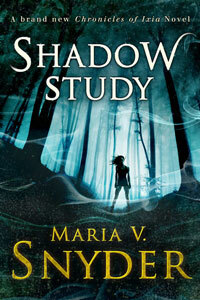 So you all know I was very excited about Shadow Study by Maria V Snyder (and I still am). 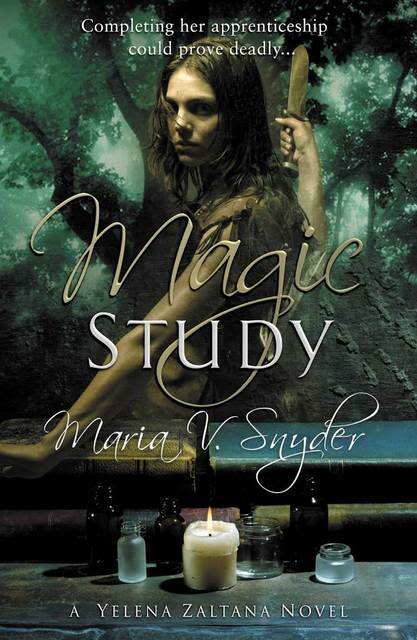 I have not started this book yet because I decided I would buy the US cover because I prefer it and wanted a physical copy of the book to go with all my other Maria Snyder books instead of having it on my Kindle as an ebook, and so am still waiting for it to be delivered. Anyway the point of this post is I was just scrolling along my Instagram page and looking at other peoples post and suddenly wham! I stumbled onto a picture that someone had posted of the last page in Shadow Study and I came across what I think is a massive spoiler. I cannot believe it because I cannot unsee it! The picture did not mention it was a spoiler or anything and it was a Kindle Ebook so I did not initially know the picture was of Shadow Study. Oh well, my lesson for next time is stay away from Social Media! You would think I would have learnt considering this happened with Last Sacrifice by Richelle Mead. Anyone else stumbled across a spoiler about a book you’re excited out by mistake? So this is the last book in the Study series. I still need to reread it to get a proper review up of what I think but I wanted to post this as I’m OCD and wanted to have reviewed all the books in this series before moving on to my next review. From what I can remember I would give this a 3.5 star rating as I feel the story line is too similar to the previous book, Magic Study. Also I do not like some of Yelena’s attitude in this one. She is mean to Moon Man (who I think is awesome) and won’t listen to any of the good advice that he gives her. Plus I have to admit I sort of blame Yelena for what happens to Moon Man. Other than these small niggles its nice to see my favourite characters return and help Yelena to save the day. Valek is such a big sweetheart! I especially love Kiki her horse. So I will up date this with more of a review once I’ve re read it to refresh my memory but I would say defiantly pick this series up. With her greatest enemy dead, and on her way to be reunited with the family she’d been stolen from long ago, Yelena should be pleased. But though she has gained her freedom, she can’t help feeling isolated in Sitia. Her Ixian background has changed her in many ways—and her newfound friends and relatives don’t think it’s for the better…. If that wasn’t bad enough, it appears her brother would love to see her dead. Luckily, Yelena has some old friends to help her with all her new enemies…. I love this series and it is one of my most re-read one but compared to the first book which I would give a 5 star rating this book gets a 4 Star. I still recommend that it is a interesting and compelling read. 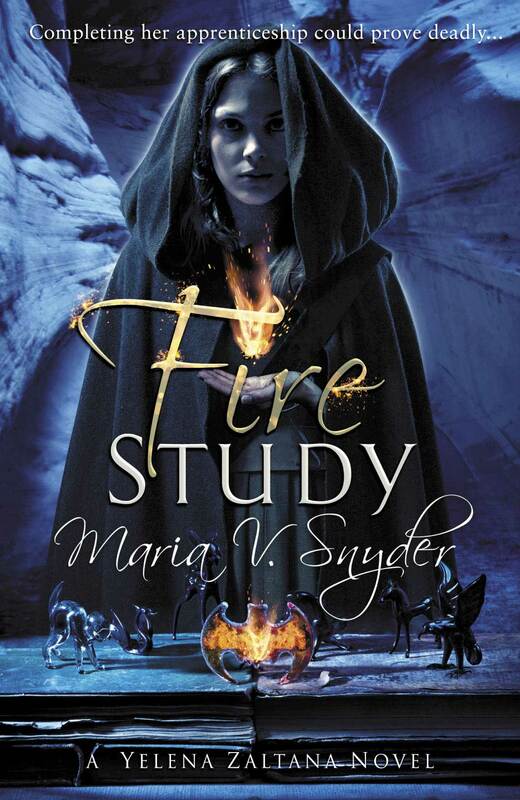 You have to read it to find out what happens to Valek and Yelena. The book pretty much picks from from where the previous one finishes. If you haven’t read it as yet and do not want to spoil the story then stop reading this now! Yelena has defeated her enemies and due to the execution order on her head for being a magician is fleeing Ixia (leaving Valek) and travelling to Sita, with Irys (The master magician) and the other children that have been saved from Brazil’s and Morgkan’s “orphanage” to learn more about controlling her magic. Its is interesting to see Yelena trying to accept and be accepted back into her Zaltana family, a family virtually unknown to her. Yelena is now a grown up who’s faced the trials in Poison Study while when she was kidnapped she was just a child. You can see Yelena struggle with being from Ixia and missing her friends and Valek who for her are her family, and trying to adapt to Sita and become a part of her actual Zaltana family. Even though Yelena is accepted by her family with open arms (with the exception of her brother) I feel that her family were expecting the child Yelena back but what they got was a strong women who knows her mind. I do love reading about her extended family and seeing Yelena progress and trying to learn to control her magic. Ofcourse this would not be a long novel if that was it, in true Yelena fashion she manages to again be targeted or more aptly become involved in hunting a bad magician. While also trying to stop a takeover threat to Ixia. Cahil the nephew of the king who was hid when the king was murdered is trying to reclaim Ixia and take the “throne” from the commander. It is nice to see Yelena grow and develop without Valek at her side. I do wish there was more Valek in this book though, again their is romance in this book but it takes a back seat to the main story of fantasy and magic. The lower rating of this books is because the Ferde storyline is not my favourite and sometimes I will admit the urge to slap Yelena so she accepts more help or goes along with someone else’s plan. I mean she won’t seem weak from accepting help, but hey ho. Barring that it is another good read. This is one of my re-reads as I personally love this book (and series), so I thought I would review it as I don’t see enough about it on Goodreads, YouTube or Instragram. 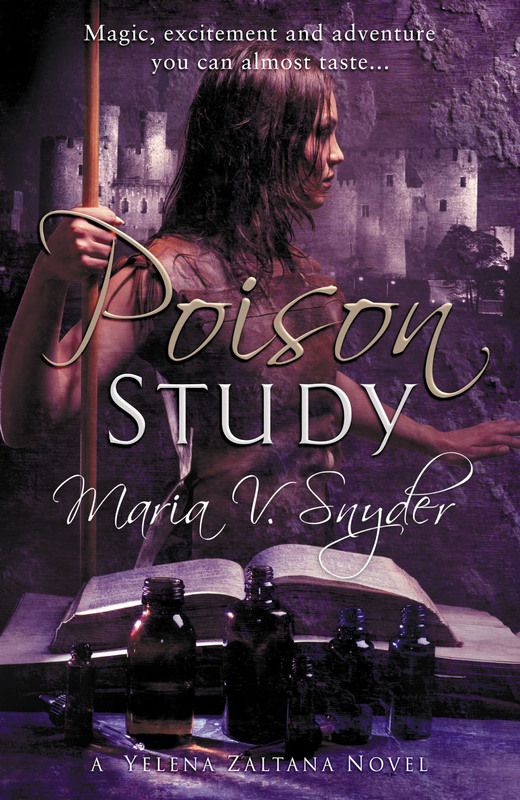 Poison Study is the first book in a trilogy based on Yelana. 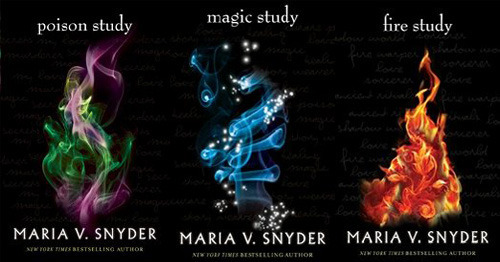 It is a fantasy book with elements of magic present in it. The novel follows Yelena who is due to be executed for admitting to the murder of the son of a high ranking general. She is given the choice to either hang or train to be the new food taster. Unsurprisingly she chose to become the new food taster (otherwise how would we have this wonderful novel?). Maria Snyder really draws you into the book by explaining in detail how Valek (The awesome sky master) trains Yelana to identify poisons. Maria also manages to explain Ixia, where the book is set without confusing the reading. I really like to the interactions not only between Valek and Yelena but with other secondary characters such as the commander or Ari and Janco. Ofcourse nothing can go smoothly for Yelena and nothing is as it seems. Once Yelena has become the food taster she faces other trials. There is romance in the book but it does not play a large role, I like how the slowly and sweetly the romance not only develops but also the way it is portrayed. Hats off to Maria Snyder.